“Creativity needs trust to flourish. 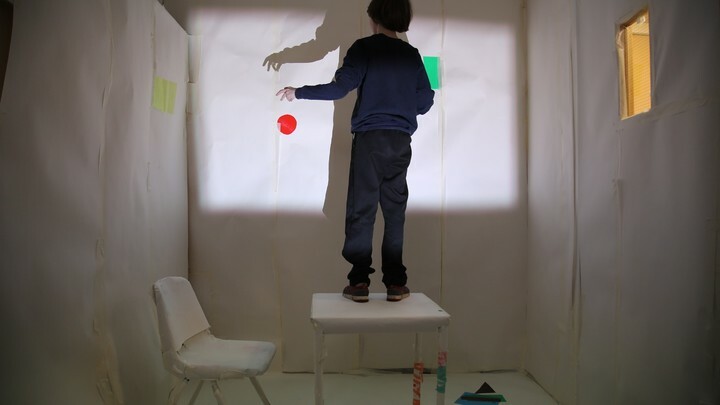 The final experiment of the FRAMES residency was to make a film in collaboration with film maker Geraldine Heaney, and the pupils of St Crispin’s School. We wanted to make something which took the pupils seriously as makers of art. Our central reference for this was the Democratic Set by Back to Back, which I spoke about in the first blog. Geraldine and I curated the materials (based on things we had seen the pupils be interested in) and were available to collaborate with them if and when they wanted to. We were trying to capture autonomous moments of creative expression; seeking out a series of ‘living images’ worthy of being framed in a gallery. This was ambitious, and hard, the ethics of it nearly exploded Geraldine and my brains several times! There were moments where it felt voyeuristic and uncomfortable, moments of total joy and creativity, consistent moments of surprise and lots of laughing along the way. As the film’s director, I had to balance giving a strong visual offer with no attachment to how it was interpreted. Consent was a really interesting discussion point throughout. I was really clear that as the director and film maker we were doing a lot of framing (hence the title). It also felt really clear to us the moments that the pupils were consenting to collaborate with us, although this would never be through words. Both Geraldine and I feel like this was a genuine three-way collaboration. We also both feel like we just scratched the surface of what these artists are capable of. I owe huge thanks to the Imaginate team, especially Fiona, and to Geraldine for her integrity, creativity and generosity. I would also like to thank Sue Giles and Naomi O Kelly for their support and encouragement. And of course the amazing staff and pupils of St Crispin’s for their trust, openness and creativity. I will look back on FRAMES with so much affection and pride. Its confirmed to me why I love this work – its liveness, immediacy, challenge and spontaneity. Where you see humanity in all its glory, be it messy, shocking, hilarious, joyful and moving. All photos by Geraldine Heaney.